Deb Sokolow produces elaborate text-based drawings that obsessively mine the lives of famous individuals, organizations and events, constructing alternative histories that blur the boundaries between fact and fiction. 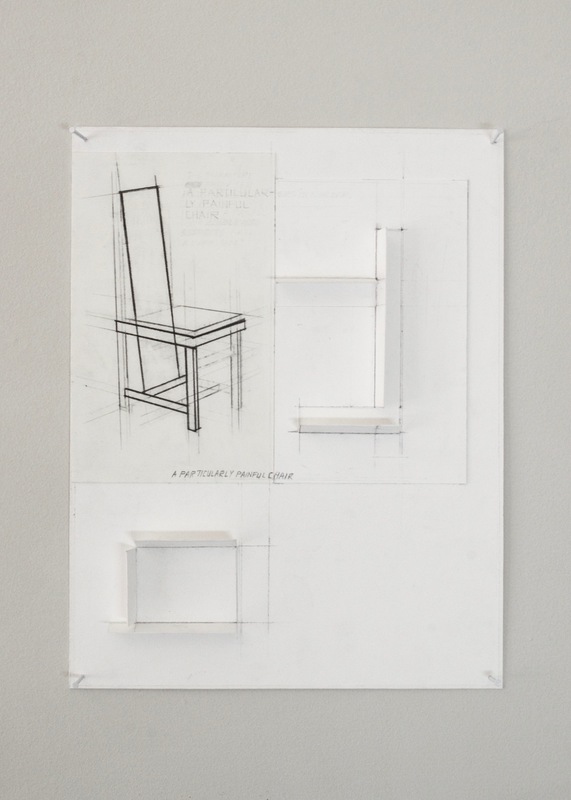 Taking on the persuasive tone of a conspiracy theory, Sokolow’s diagrammatic drawings–whose formal elements borrow from architectural elevations and storyboards–offer up an abundance of evidence, but leave it up to viewers to draw their own conclusions from the information at hand. Sokolow returns to a favorite subject for this exhibition, with nine new works that focus on the personal life of American architect Frank Lloyd Wright. 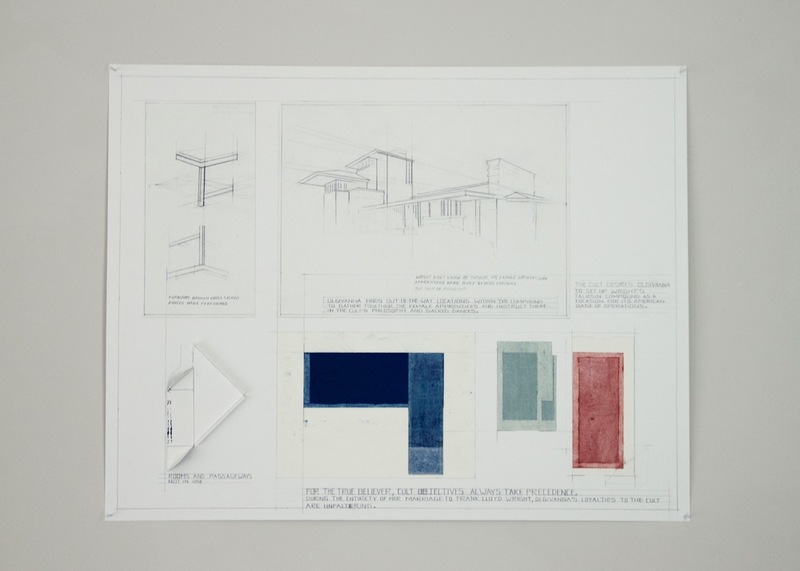 With no linear narrative, these drawings integrate biographical research, comical speculation and circumstantial evidence in order to illuminate the private activities of Wright, his third wife, Olgivanna, and a number of studio apprentices who lived and worked at his famous Taliesin compound. graphite, crayon, colored pencil, acrylic and collage on paper | 19 x 24 x 1/2 in. 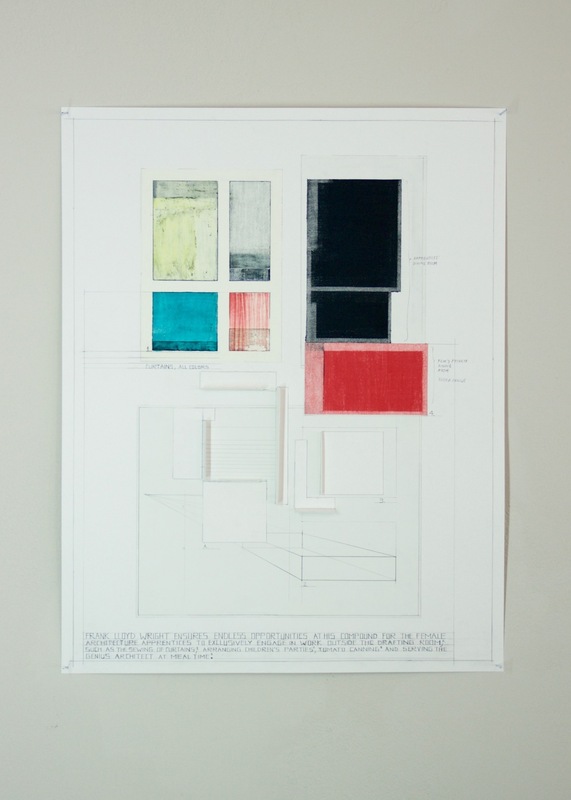 graphite, crayon, colored pencil, acrylic and collage on paper | 24 x 19 x 1/2 in. graphite, acrylic and collage on paper | 11 x 8-1/2 x 1/2 in. 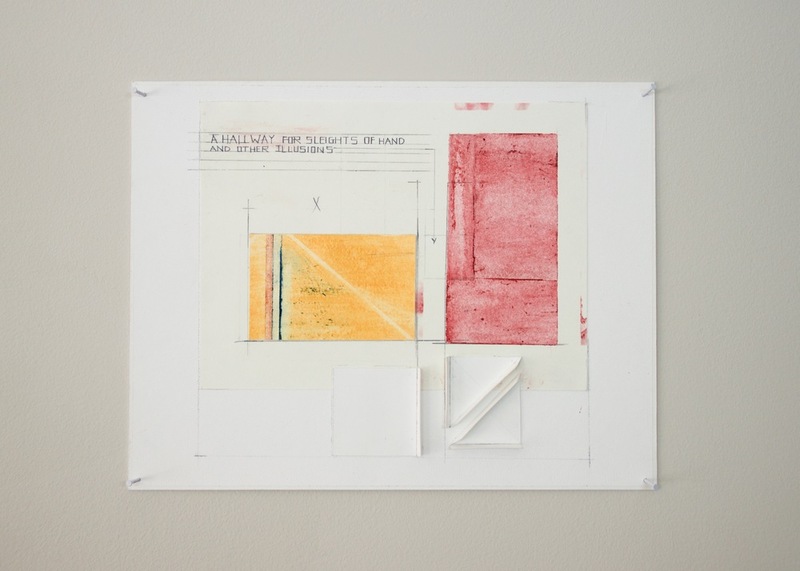 graphite, crayon, colored pencil, acrylic and collage on paper | 8-1/2 x 11 x 1/2 in. graphite, crayon, colored pencil and collage on paper | 19 x 24 in. 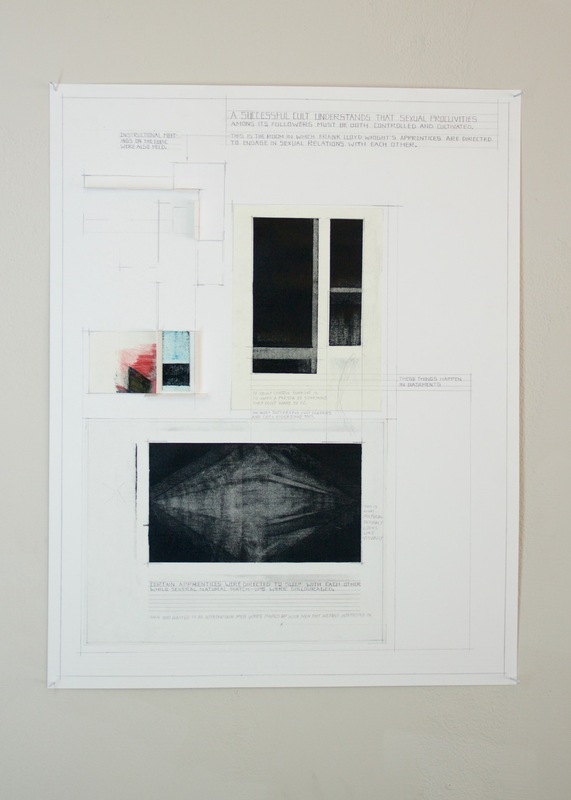 graphite, crayon, colored pencil and collage on paper | 24 x 19 x 1/2 in.